In an aquarium, the filter has the important task of clarifying the water, reducing pollutants and supporting the ecosystem. 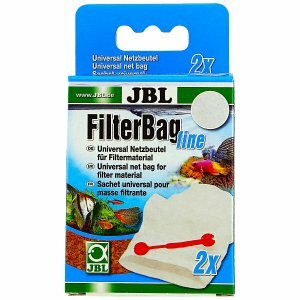 For this purpose, various filter materials and filter types are used in aquaristics. The type of filter (internal filter, external filter, backpack filter) is rather unimportant since all filter media can be used in the different filter models. Basically, a distinction is made here between biological, mechanical and chemical filter media, which are available in our online shop from various renowned manufacturers. Mechanical filter media are used to filter the smallest and slightly coarser dirt particles and suspended matter out of the water. 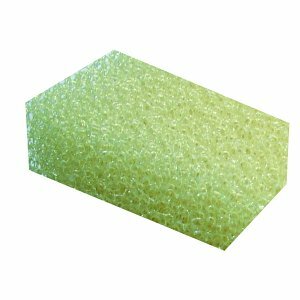 The so-called prefilters are in principle mechanical filters and usually consist of filter sponge, filter foam, filter cotton, filter fleece or ceramic tubes. Especially fine meshed media like cotton or fleece are very efficient in the trapping of supended matter, but they'll also clog up rather quickly. They should therefore be cleaned and/or replaced regularly. Biological filter media are materials that primarily provide a lot of surface area for sessile bacteria that degrade pollutants from the water as part of the nitrogen cycle. 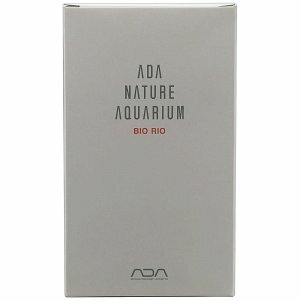 These materials are vital for a smoothly running ecosystem inside the aquarium. As a rule, they are very porous and often made of ceramics or sintered glass. 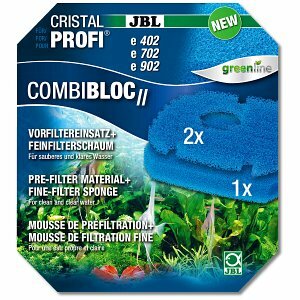 Their porosity increases the surface of the filter medium and provides for a sufficient oxygen supply. Examples include the products Seachem Matrix, JBL Micromec or the Hel-X 13 BioMedium from Oase. 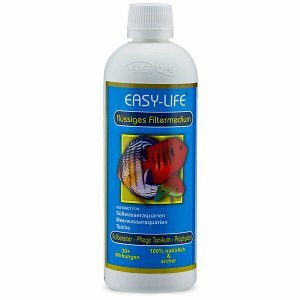 Especially in aquariums with breeding ambitions and a dense population of fish, a sufficiently strong biological feeding is essential. 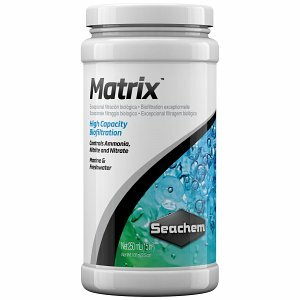 Chemical filter materials are filter media that actively alter the water values. 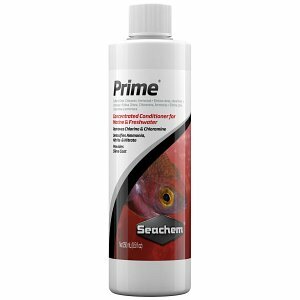 These are often functioning as adsorber substances that are targeted to remove or bind certain elements dissolved in the aquarium water. Typical examples would be activated carbon, phosphate adsorber and nitrate remover. 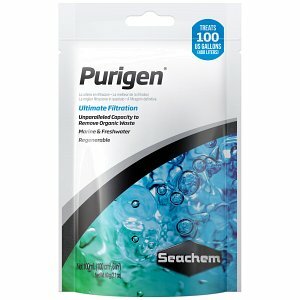 Especially in aquascaping, the product Seachem Purigen is often used, which ensures crystal clear water and removes organic compounds. You want to learn more about filtration in planted aquariums in particular? Then we recommend reading this handy article in our Aquascaping Wiki.